Book now to make your child’s dream of walking out with Stanley come true. 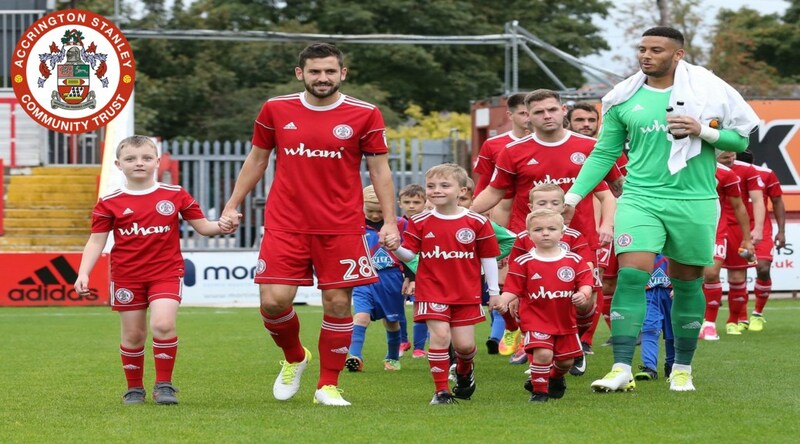 For the Emirates FA Cup Third Round your child could be walking out with their favourite player when Stanley play Ipswich Town over the weekend of 5th January 2019. The ultimate Accrington Stanley match day experience for just £150. VIP treatment for the mascot, meet Winstanley, the staff and the players (at manager’s discretion). Enjoy the opportunity to take part in a football activity prior to the game on the pitch with an Accrington Stanley Coach. Due to the high demand and popularity of our mascot packages, we would advise that you book your place a minimum of two weeks prior to your chosen game. NEXT Next post: Stanley Soccer League Recruiting New Teams!